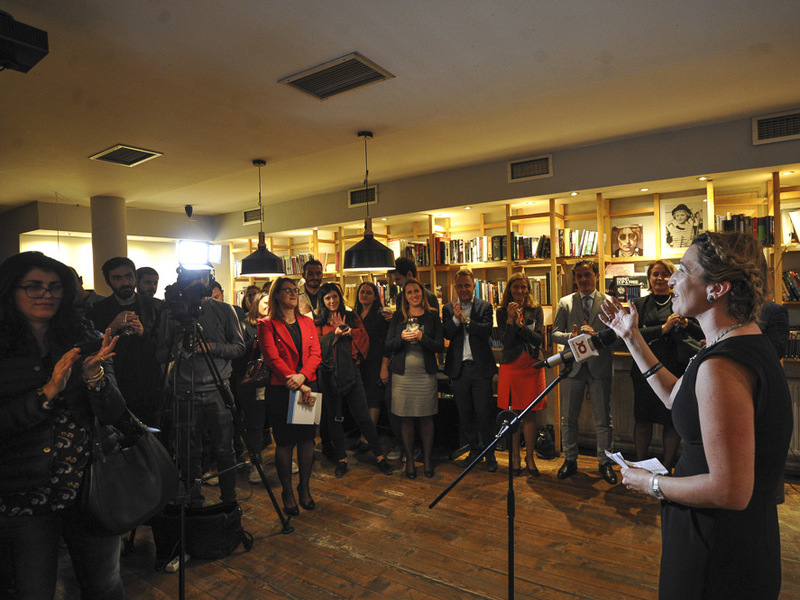 On October 4, the Balkan Investigative Reporting Network Kosovo, in cooperation with The Advocacy Center for Democratic Culture (ACDC), presented awards for three best journalistic pieces on TV, print or online media as part of its Human Rights Reporting Award Competition. The initiative is intended to boost the coverage of human rights issues and help to set new standards for media reporting in the sphere. Venera Cocaj and Matko Bulent won the first prize for a story that dealt with one of the least discussed topics in the country and concerned one of the most marginalised groups, the LGBT community, in a documentary “The Sky is Turning” produced by Kosovo 2.0. Adriana Thaci-Mehmeti from KTV won second prize for a story about the rights of elderly people within the family and in retirement homes. Besa Kalaja from PreportR and Kaltrina Rexhepi from RTK shared the third prize. Kalaja’s story dealt with the lack of institutional care for the elderly, while Rexhepi created a documentary that looks into the issue of early marriages.